Armand Rigoletto Fior, 93, of Yorkville, Ohio, died peacefully Sunday, January 20, at Trinity Hospital in Steubenville, Ohio. Armand was a lifetime resident of Yorkville, Ohio, where he was born December 14, 1925. He was the first son of his late Italian immigrant parents Eduardo Fior and Fanni Giacomelli. His father opened the family barbering business in Yorkville in 1930 and Armand went to work for his father in 1940. He became a licensed barber before graduating high school in a profession he came to serve in for 77 years. At the time of his forced retirement due to health reasons in 2018, Fior’s Barber Shop was the longest standing family owned business in Yorkville. In the 1970’s when styles began to change Armand adapted his barbering business to include men’s hair styling to meet the challenges of changing times and trends. His customers came to him from all over the Ohio Valley, and in some cases his business spanned four and five generations within a family. Armand was at the time of his death the oldest living member of Yorkville High School’s 1943 Class B state championship basketball team. 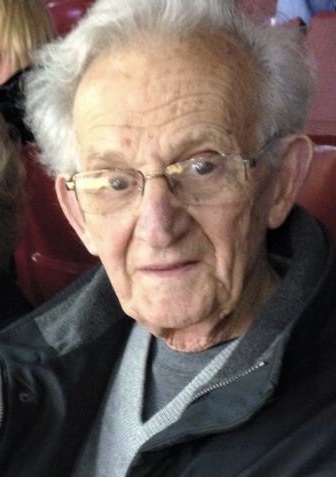 Armand was preceded in death by his wife of 58 years, Eleanor Rizzo Fior also of Yorkville, and his younger brother, Louis Fior, who passed away in 2018. He is survived by his son, Dale Fior, of Hoboken, New Jersey, his daughter, Janice Fior of Columbus, Ohio, and his two grand daughters, Katie and Caroline Moorehead who are residing in New York City. Visitation will be Thursday, January 24 from 2pm to 9pm at Wilson Funeral Home at 920 National Road in Brookside, Ohio. There will be a prayer vigil at 4:00 pm that same day at the Funeral Home. Funeral Liturgy with mass will be celebrated Friday, January 25, at 11:00 am at St. Joseph’s Catholic Church 204 Mound Street, Tiltonsville with the Very Reverend William Cross as the celebrant. To offer online condolences please visit wilsonfuneralhomes.com.